The TP9 DA is the latest iteration from Canik in the DA/SA striker fired platform, replacing the TP9 V2. Though the dimensions of the TP9 hasn’t changed, there are some differences between the V2 and DA. For instance, the DA has a new trigger system, incorporating a blade safety. They have also made changes to the slide and decocker, which is listed as a top-slide-mounted disassembly button. The decocker is no longer ambi, as on the original TP9 and V2, as well as the SA model. The TP9 DA retains the same dimensions as the V2, is available in black and burnt bronze, and only offered in 9mm. The DA and the V2 share the same dimensions and mostly the same internals. The frame of the DA is identical to the V2, keeping the typical MIL STD 1913 Picatinny rail for mounting lights and accessories. Trigger guard is the same on the DA, allowing room for a gloved finger to comfortably fit when shooting in a colder climate. The aggressive rear slide serrations are cut the same, and easy to grasp when racking the slide. And just like the V2, there is no identifiable loaded chamber indicator. However, the DA does retain the open rear cap on the slide, allowing the striker to protrude when the firearm is cocked. The first noticeable difference is the changes made to the slide. On the DA, they have eliminated the top slide anti-glare ridges, and the slide is more angular. The shape of the slide on the DA looks closer to the SF model. You can see on the top of the slide that not only are the anti-glare ridges gone, but the top of the slide is wider and more angular. From this rear view you can see the angles on the DA, whereas the V2 has more curve. Another change to the DA is the elimination of the traditional two dot rear sight with vertical line. The DA is the latest from Canik to now ship with a Warren Tactical rear. The front of the DA retains the traditional white dot. This close up clearly shows the Warren Tactical as well as the difference in the shape of the slide. However, I’ve had no issue securing the DA in holsters I have previously purchased for the V2. Another feature of the DA that is different from it’s older siblings is the decocker. Unlike the TP9 and V2 that offer an ambi decocker, the DA is right hand only. The version on the DA is reminiscent of the Walther P99, which the TP9 series was originally modeled after. You can see from this photo how the DA is similar in design to the original Walther P99. This is not a deal breaker for us lefties however. It doesn’t take any extra time to reach over the top of the slide and press the decock button. Internally, I’ve yet to notice any real differences. On the inside of the slide, there is one less hole for the decocker since it’s no longer ambi. The lowers show no real signs of changes as well, minus the actual trigger. As expected, the V2 and DA slides will fit on either frame. Notice the DA trigger, with the trigger blade sticking forward. This only occurs when in SA mode, and the trigger is staged. When the slide is racked, the trigger stays in the forward position and the blade is not protruding. Only staged in SA mode will the blade safety be viewable. Dry firing there were no issues. I have yet to put live rounds through them in this configuration. I did compare press weights between the V2 and the new DA. Since I only have a couple hundred rounds through the DA so far, compared to a couple thousand through the V2, I do expect the DA trigger to lighten up a bit more once broke in. I did a series of five pulls in both DA and SA. You can see that the trigger press weights are very similar. After I have 1,000 rounds through the DA, I’ll do another comparison. At the range the DA has been 100% reliable so far. No FTF’s, no stove pipes or failures to lock the slide back. I’ve put 115gr WWB, 124gr Yavex Nato, 124gr Federal HST and PMC Bronze 115gr HP’s through it. The trigger is very impressive, and the firearm is very accurate. The first 10 rounds out of the DA were shot at 7 yards. The first two rounds were shot in DA, while the last 8 were shot in SA. The grouping began to tighten up in SA. You can see the first two rounds in DA were a little low. The trigger is smooth in DA, but it really shines in SA mode. It’s probably not a fair comparison to my V2 since the V2 has a couple thousand rounds through it. But, at this point, the V2 trigger is smoother, and the wall is less noticeable. We will see how the DA trigger is performing after a couple thousand rounds. At this point, the V2 holds an edge over the DA. But again, kind of an unfair comparison at this point. One other note about the trigger, I do prefer the shape of the V2 trigger compared to the DA. Of course, the V2 doesn’t have a blade safety, so they were able to put more of a curve in it which is more comfortable to my trigger finger. The DA trigger is and feels less conforming to the trigger finger since it’s more linear than the V2. Overall, the DA trigger is phenomenal and has the same short, audible reset like the V2 and other offerings from Canik. You’ll be hard pressed to find a better trigger right out of the box, than what is offered by Canik. I rank them right up there with my Walther P99, which of course is another phenomenal trigger. Overall: The TP9 DA is another outstanding firearm from Canik, imported by Century Arms. For around $350, they come with two Mec-Gar 18 round magazines, large and small backstrap, holster, cleaning kit, trigger lock and blow mold case. 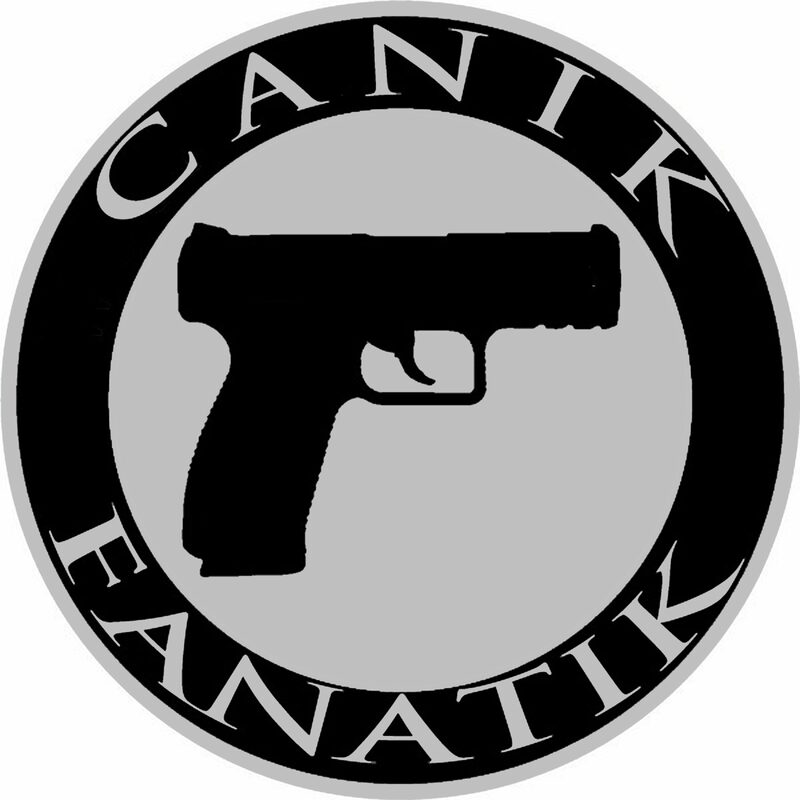 All Canik firearms are touted by Canik as being Nato approved, and have been tested to sustain 60,000 rounds before any breakage. The ergonomics of Canik firearms are second to none, offering a natural point of aim and easily accessible controls. 10 round and 20 round magazines for the TP9 series are also available. If you like DA/SA firearms, I suggest looking no further than the TP9 DA. Canik TP9 SFx, a forum members review.